We’ve officially reached Phase Two of the Marvel Cinematic Universe. Similar to Item 47, this movie directly focuses on the aftermath of the battle of New York that went down in The Avengers. As noted, The Avengers marked a huge jump in box office profits for the MCU and it continued with Iron Man 3. This film raked in a whopping $1.215 billion, putting it just behind The Avengers at the top of the MCU to this point. No discussion of Iron Man 3 can be complete without mentioning the infamous Mandarin twist. The trailers and early scenes depicted a villain named the Mandarin. He was a ruthless terrorist and his propaganda style videos were truly chilling. I remember being captivated each time he came on screen the first time I saw this. Then, just as Tony Stark closes in on him, we learn that the Mandarin was a fake. He was just a simple, drug addicted actor. A puppet on strings. Some fans were livid because the Mandarin is Iron Man’s most famous rival, yet he was reduced to this. However, I think the twist and change worked to perfection. Part of why it worked was because the real Mandarin character wouldn’t translate well to screen. He’s rather corny, cheesy, and honestly, kind of racist and stereotypical. Changing him for screen was good and then giving us the twist of him just being an actor was unexpected. Surprises are welcome in the MCU. The other thing that allows this to succeed is Sir Ben Kingsley. He’s absolutely terrifying as the Mandarin when he’s threatening the world and equally funny when he reveals himself to Tony. Both sides work in a way they probably shouldn’t and it makes for a delightful balance. There were two other side characters who were new additions to this franchise. The first was Aldrich Killian, played by Guy Pearce. He did well with the role and his reveal of being the real Mandarin was alright, but lacked something to make it special. His motivations are clear and his fight with Tony in the end was interesting. However, he’s ultimately forgettable. Rebecca Hall plays Maya Hansen, an ex-lover of Tony who works with Killian. Her performance is solid, but there are some strange moments. For example, there’s a point where she’s in Tony’s house as a missile heads for it, and she just calmly points it out. That’s a really strange reaction and things like that don't click from a logic standpoint. Another side character who joined the fray was Harley Keener, a child who befriends Tony when he’s down at a low point. The kid who plays him (Ty Simpkins) isn’t a bad actor, but again, there are a lot of weird moments. Their first exchange makes no sense. The kid asks who Tony is, then shows him a newspaper revealing that people believe Tony is dead, then asks for Tony’s name. He knows who Iron Man is, and if you know that, you know Tony Stark. They go hand in hand. It’s just inconsistent and illogical. However, it's not a major problem in terms of how well the overall film works. And yes, the film works incredibly well. The main point sees Tony suffering post-traumatic stress disorder after the events of The Avengers. He came very close to dying when he went through the wormhole at the end of the movie. That causes him to seclude himself, make rash decisions, and be his own enemy. It’s similar to his issues in Iron Man 2, but in a much different way. He puts a lot of focus on Pepper and how he doesn’t want to lose her. The scene where his home is attacked and he signals for his suit to cover and protect Pepper is outstanding. That makes the scene where Pepper eventually saves him in the end another highlight. Tony’s mental state in this movie plays a major part in the larger MCU in terms of his decisions in future films. From the creation of Ultron to the reasons behind his war with Steve Rogers to his close bond with Peter Parker, it all kind of stems from these events. Other than that, there aren’t many MCU connections in this one. Jon Favreau directed the first two installments of this franchise, but Shane Black took over here. This was for the better. Nothing against Favreau because I thought he did very well. Black was just a great selection. He gets the best out of his actors and understands what makes an action flick like this work. Even with the serious undertones, there’s so much cool stuff sprinkled in. One incredible scene sees Tony have to save thirteen or so people who are falling out of an airplane. It’s visually stunning and the kind of stuff we want to see from our superheroes. Be a hero. It’s simple, really. The last thing I want to touch upon is how fantastic the action was in this. There are many great moments that are logically done and not just a hero doing things for the sake of looking cool. It all integrates well into the story. Also, Black seemed to have a blast with the ideas of what the Iron Man suits can do. 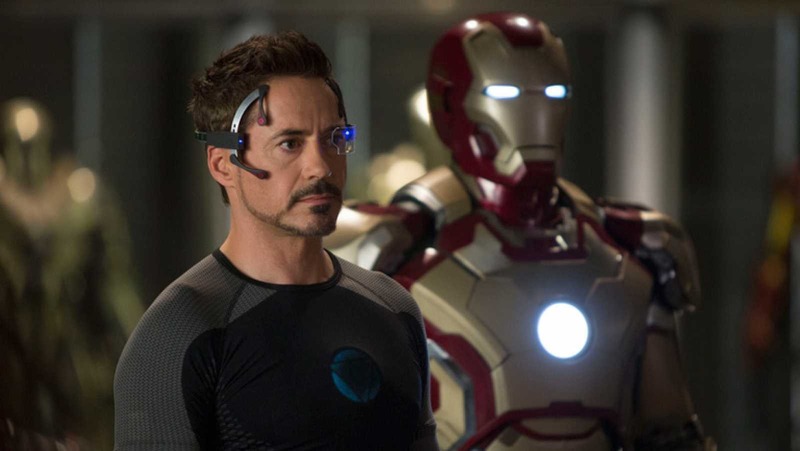 Tony spends less time in the suit than ever, yet there are so many innovative uses of it. Even when Tony’s in the suit, it malfunctions and he never seems comfortable in it. That forces him to rely on the fact that he’s a genius. He's more than just a guy in a dope suit. The final line uttered in the movie is, “I am Iron Man,” just like the first film. However, that was more of a declaration that he was the man in the suit. This was done along the lines of, with or without the suit, he's the hero. Tony Stark. To me, that’s a beautiful way to wrap up this trilogy. The response to this movie is pretty split and I’ve heard some call it the worst movie in the entire MCU. I don’t get that at all. In fact, I’d go so far as to call it the best film in the Iron Man trilogy. The action is creative and fun, the villain twist works, and Tony’s overall arc and what he goes through is gripping.